Schonherr: The square in front of The Museum of Thorvaldsen is part of the southern corner of Slotsholmen in the center of Copenhagen. 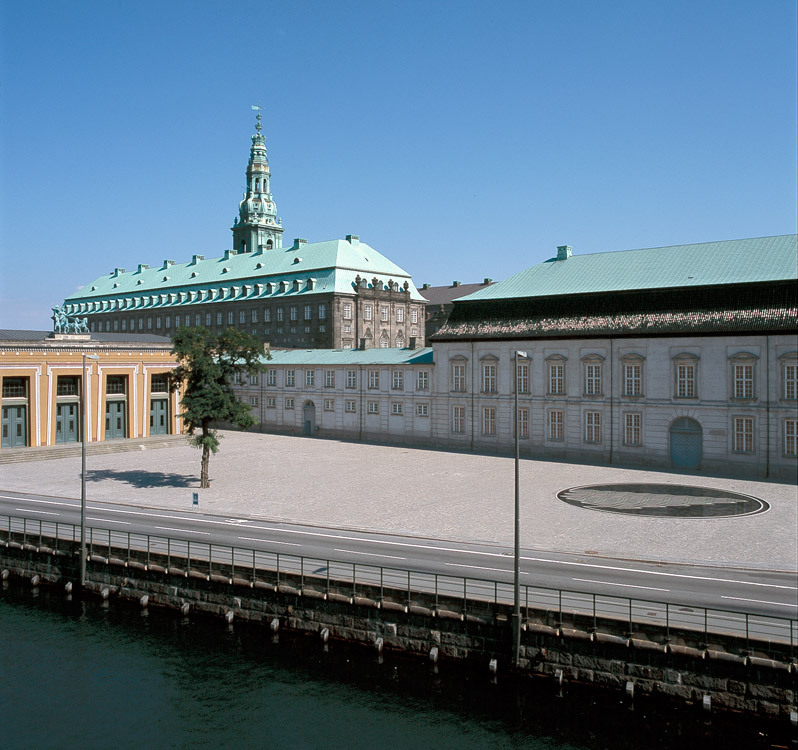 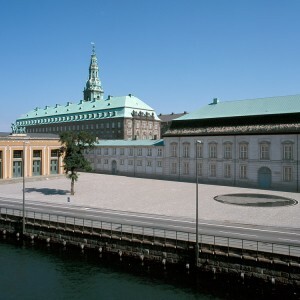 Apart from the museum, Slotsholmen also presents Christiansborg’s chapel and different governmental museums as well as The Danish Parliament and is one of Denmark’s most significant and historical squares. 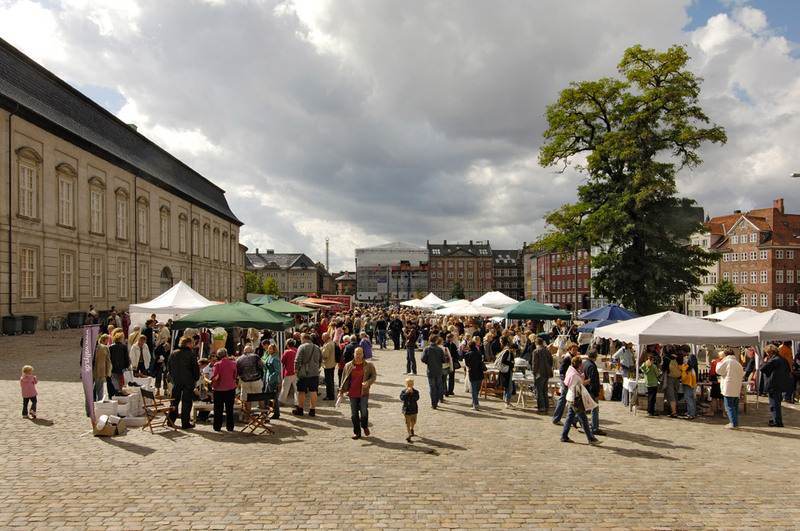 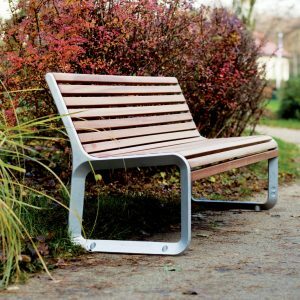 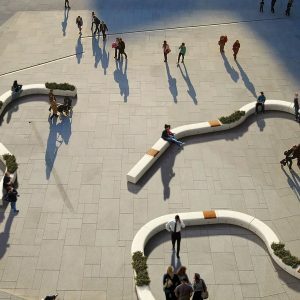 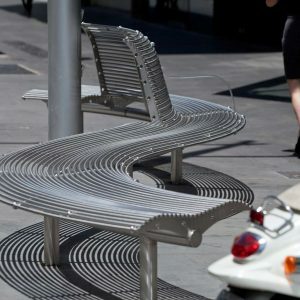 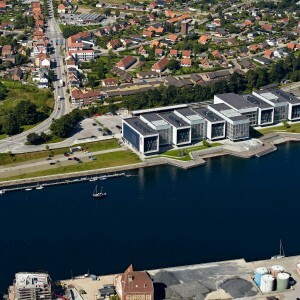 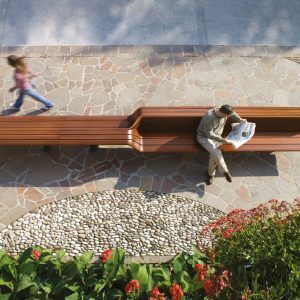 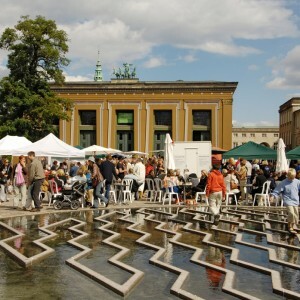 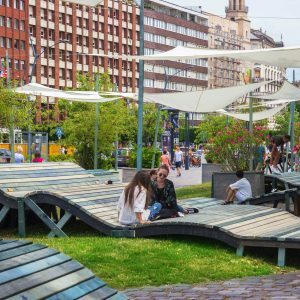 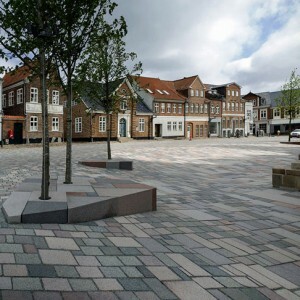 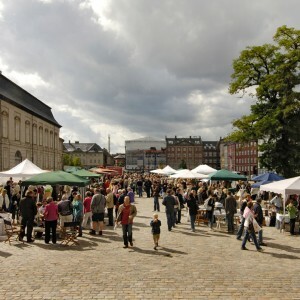 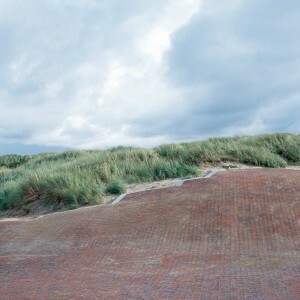 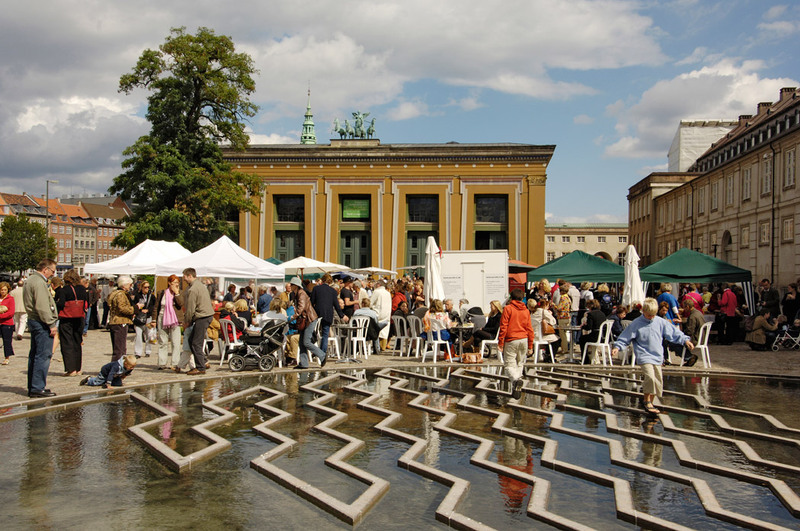 The overall idea is to make the square a public space accessible and attractive to the public of Denmark. 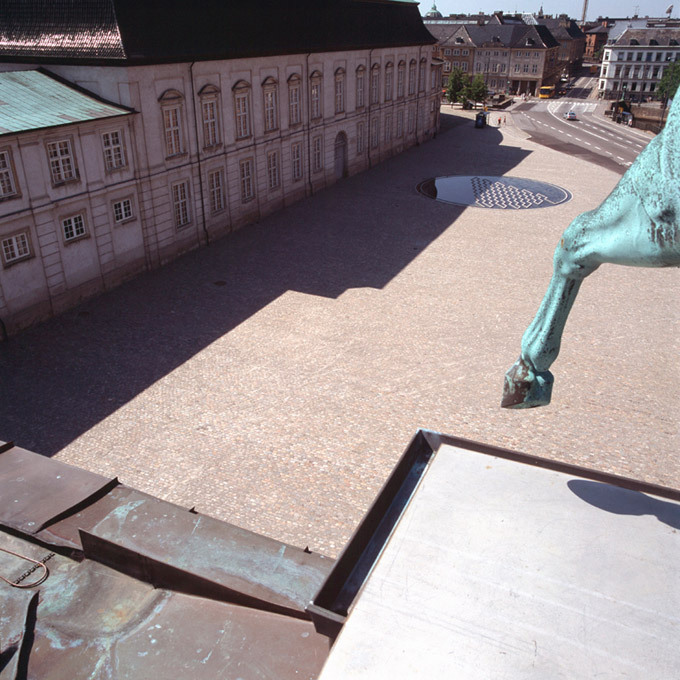 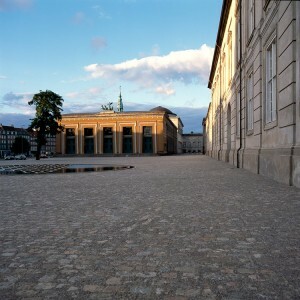 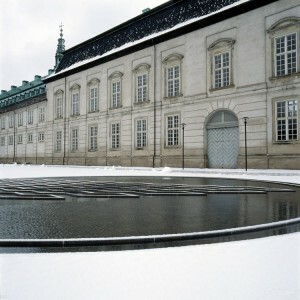 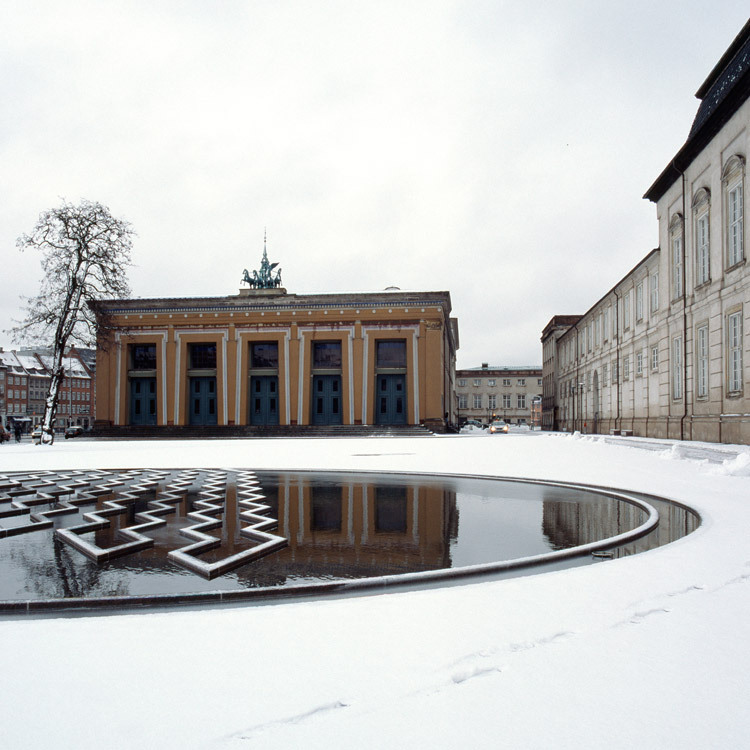 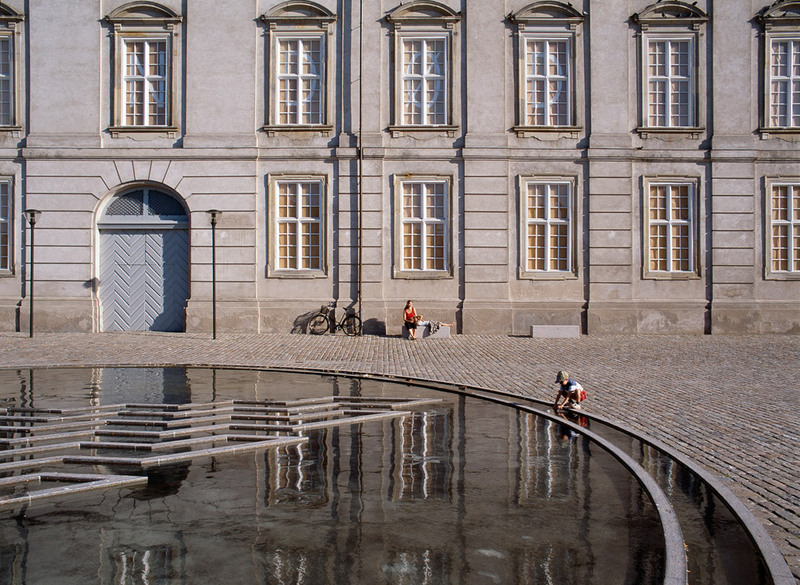 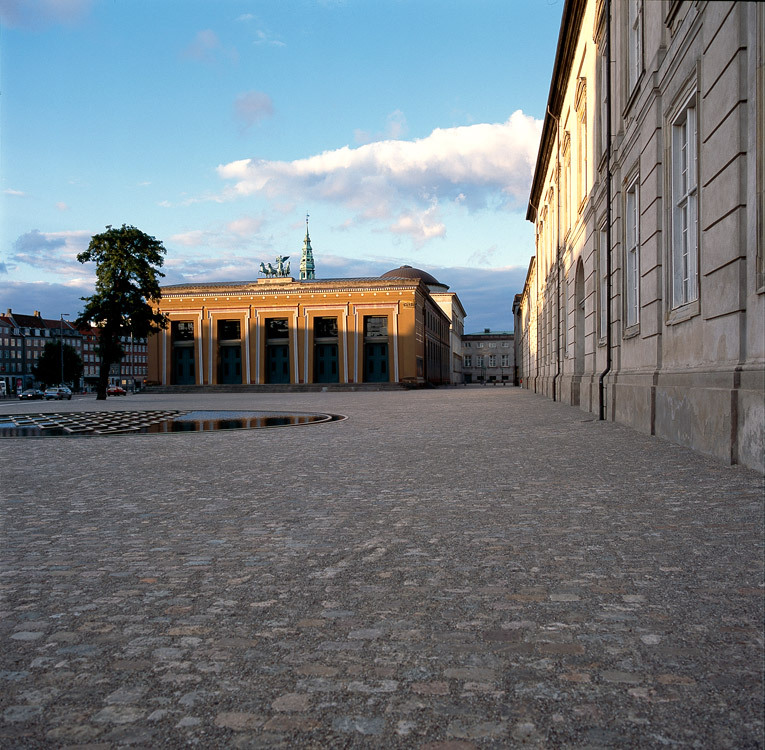 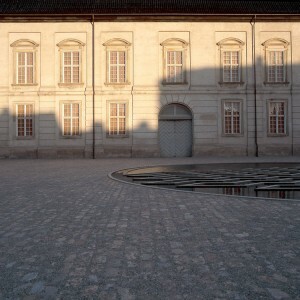 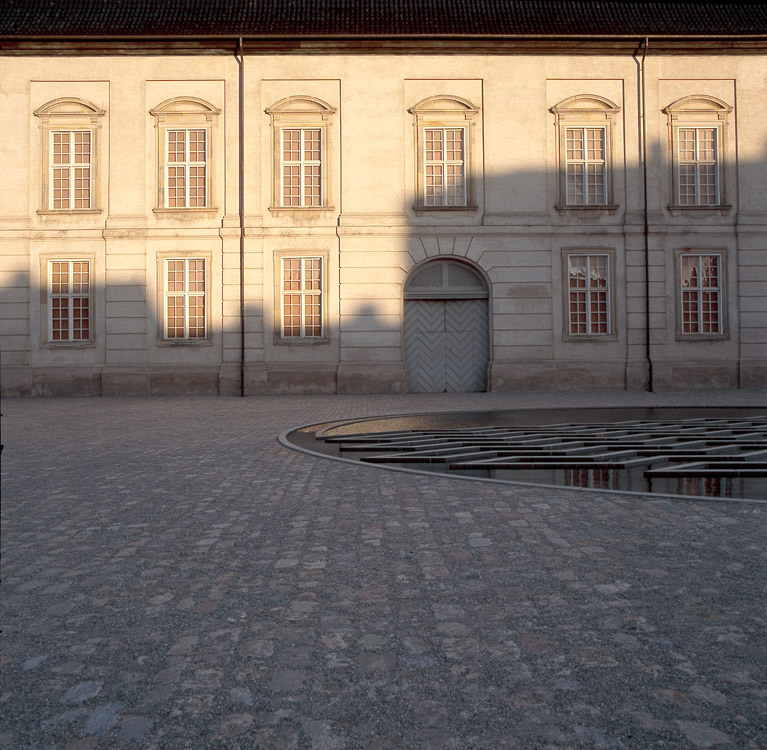 In its simplicity the square exist of a cohesive surface of paving stone, which stretches between the palace’s riding house, The Museum of Thorvaldsen and Vindelbrogade. 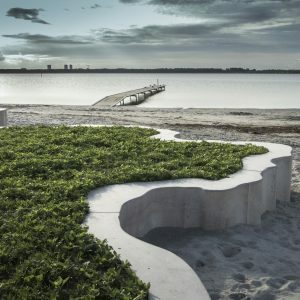 On this surface a single tree has been preserved and a new water sculpture has been created by the visual artist Jørn Larsen. 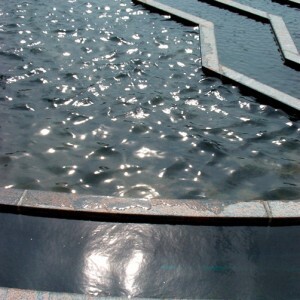 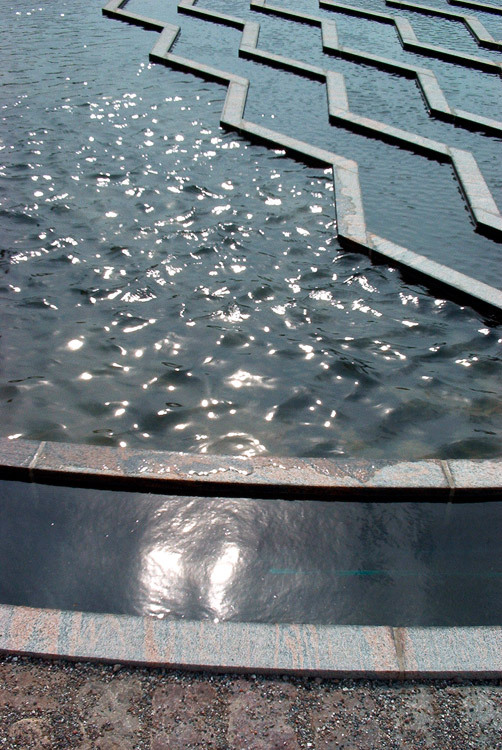 The water sculpture has been placed in the axis of Knabrostræde, which makes a tie to the Middle Age City. 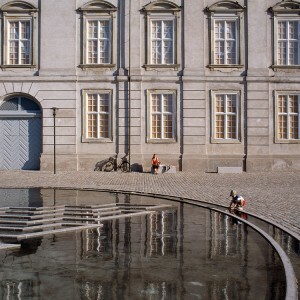 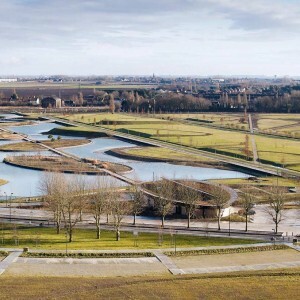 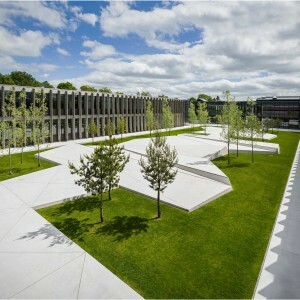 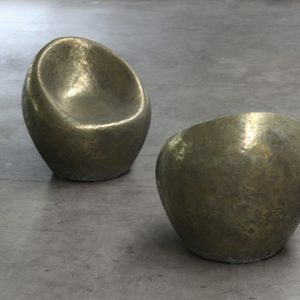 Schonherr Landscape has carried out the work for the project, including the water techniques for the water sculpture.